Looking for a little food inspiration? Cook with M&S is a tasty range of ingredients, perfect for putting together mouthwatering meals in minutes. 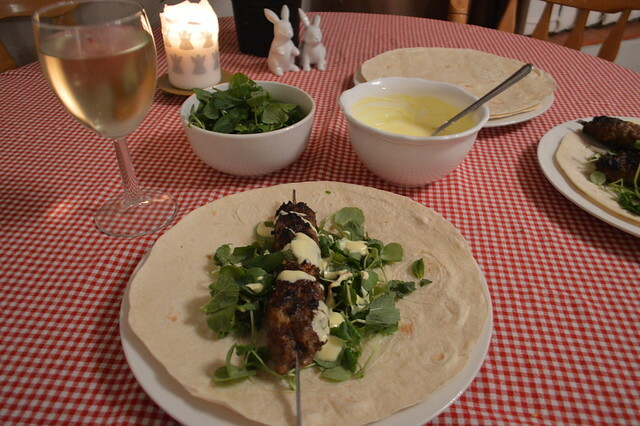 I've created one of the recipes from the Cook with M&S site which was a perfect winter warming dish, lamb koftas. I think these would also be perfect to pop on the BBQ in the summer too. I had a lot of fun making this Middle Eastern inspired dish as I normally cook more European style foods, mainly Italian & Spanish. 1. Soak 8 wooden skewers in cold water for 20 minutes. 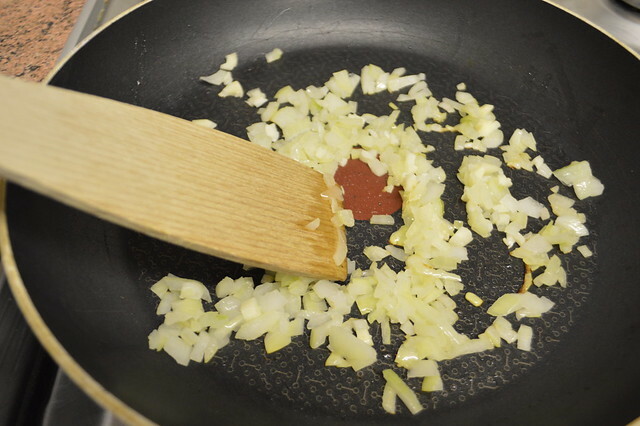 (I used metal ones because it's all I had) Heat the oil in a small frying pan and fry the onion for 3 minutes, until soft. Add the garlic and chilli and cook for a further minute. 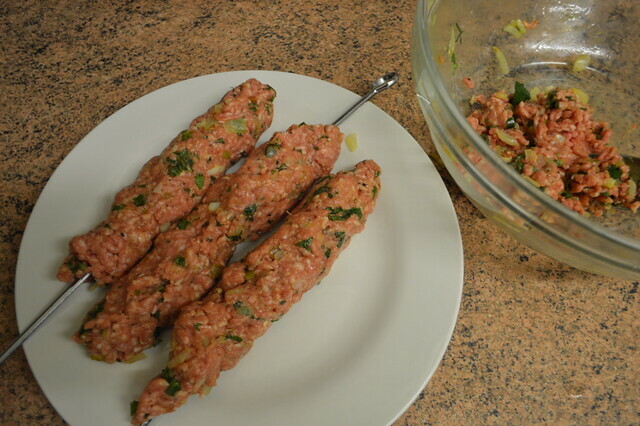 Transfer to a bowl and mix in the lamb mince. 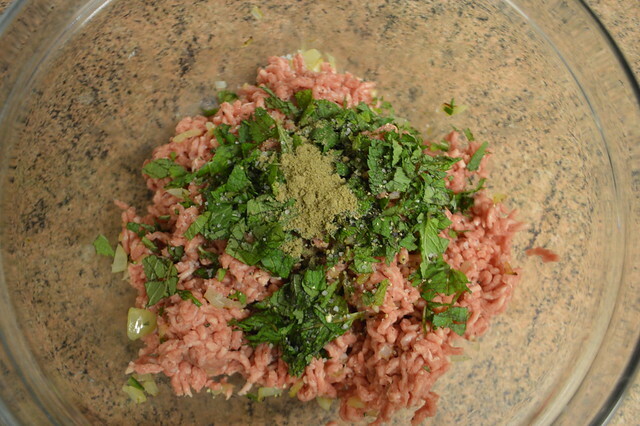 Chop half the mint and fold into the lamb mixture, along with the egg, coriander and some seasoning. Divide into 8 and press on to the skewers (you might find it easier to wet your hands first to prevent the meat from sticking). 2. 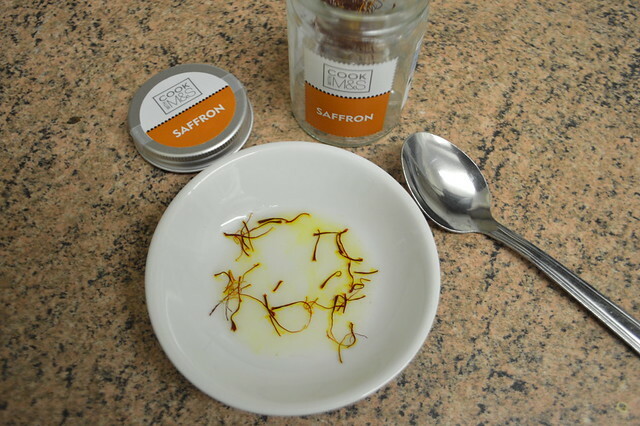 Soak the saffron in 1 tbsp hot water for 10 minutes, then stir into the yogurt. Season and chill until ready to use. 3. Heat the grill to high. Sit the koftas on an oiled grill rack over a grill pan and cook for 8-10 minutes, turning occasionally, until cooked through. 4. Warm the tortillas according to the packet instructions, then top with watercress and remaining mint leaves. 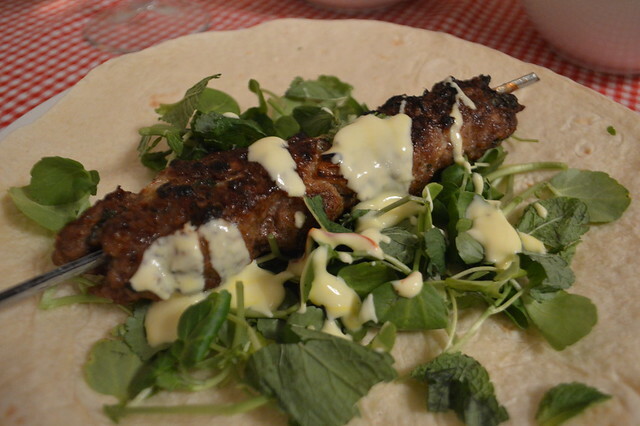 Put 2 koftas on each tortilla and drizzle over the yogurt dressing to serve. If you want to try more recipes head to the Cook with M&S pages or download their app. You can also look out for the easy-to-follow recipe cards in store. 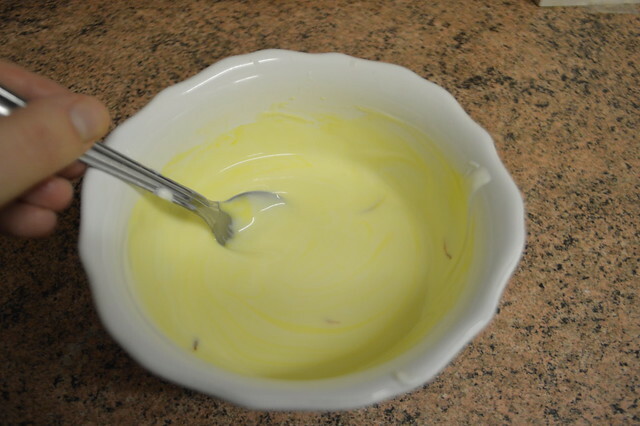 Have you ever attempted to make a dish like this before? Where do you normally head to for recipes? *M&S at St David's Cardiff provided me with the ingredients for this meal.